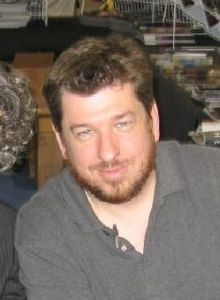 John Rogers is a writer and a producer. Among other things, he was involved in writing the screenplay for the film Catwoman. I would put my pilot out on the Internet in a heartbeat. Want five more? Come buy the boxed set. Wired article. Retrieved on 2006-04-05. This also appears in Ch. 10 of The Value of Nothing (2010) by Raj Patel, who later acknowledged it was a borrowed joke in "Citation Alert!" (21 January 2010) at rajpatel.org. This...is why screenwriting pays so well. They don't pay me to write. I'd write for free. They pay me NOT to punch people in the neck. Comment posted on David Brin's blog. Retrieved on 2013-02-06. This page was last edited on 18 January 2019, at 19:17.